There are plenty of ways to get addicted to speed and the two-wheeled variety sinks its hooks in hard. 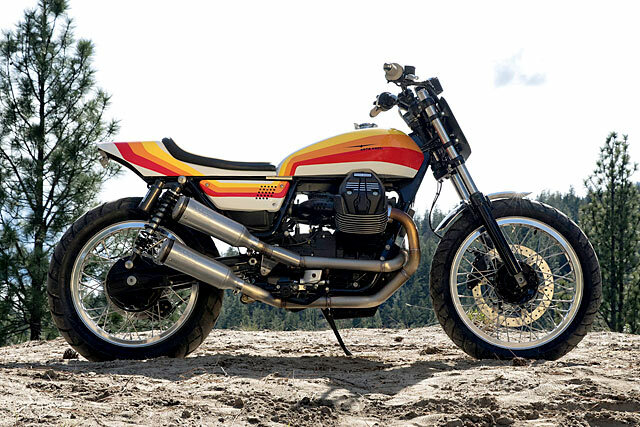 But when your first day at the local flat track involves getting thrown the keys to one of the world’s greatest builders own personal thrill machines you never had a chance. 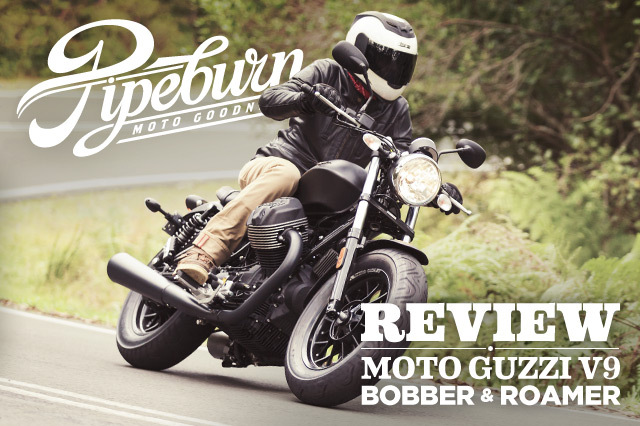 That’s exactly what happened to Brent Giesbrecht of MotoVida Cycle in Kelowna, Canada; when AMD winning superstar Roger Goldammer sent Brent out on his tricked out YZ400. 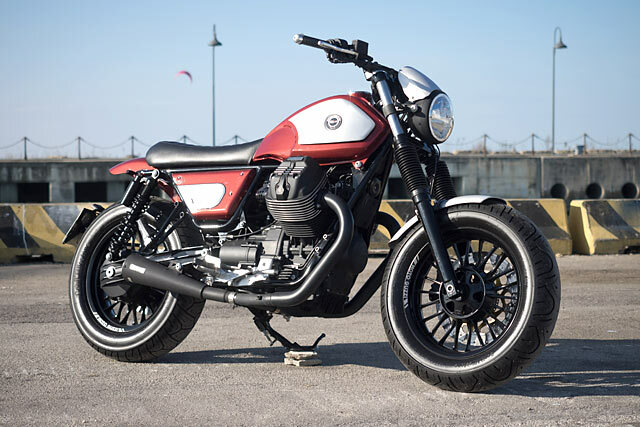 Now a Moto Guzzi dealer Brent decided it was time to take a life’s worth of inspiration and pack it all into one sideways sensation, a 2017 Moto Guzzi V9 Flat Track bullet. 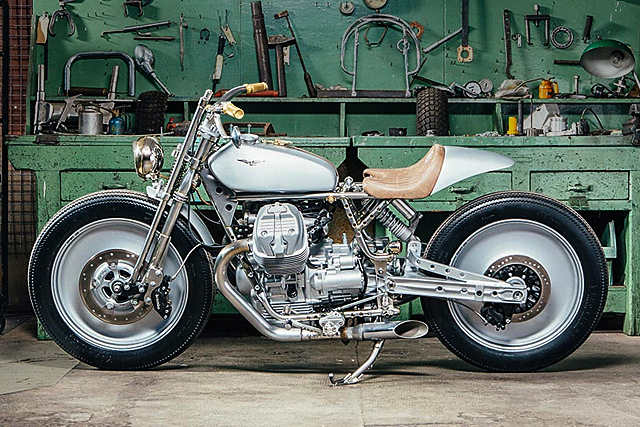 For a custom motorcycle workshop, to be selected to compete in a bike build off on National Television with backing from a major manufacturer sounds like a dream come true. 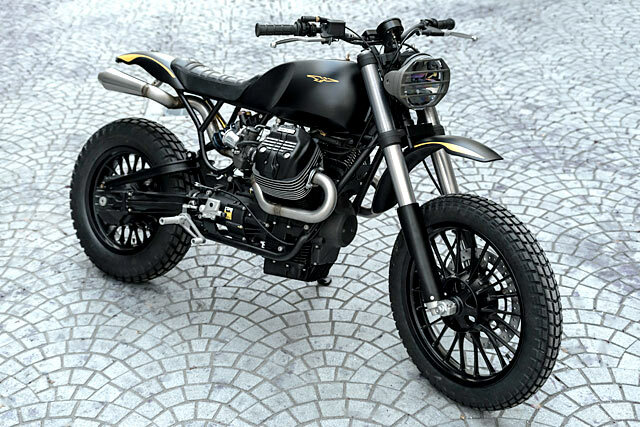 A free motorcycle, cash to spend and instant fame for your business; unless of course you make a hash of it all and that dream turns into a horrible nightmare with an unfinished wreck of a machine. 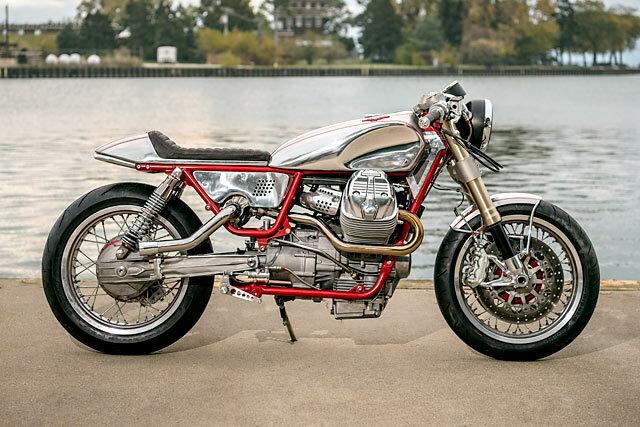 Thankfully, the ten teams selected to compete on Italian TV’s ‘Lord of the Bikes’ show all knocked it out of the park, but there could only be one winner and the king has just been crowned, step forward “Silver Knight”. 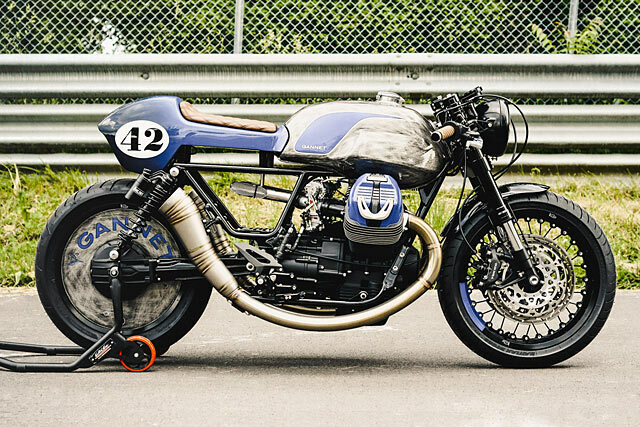 Built by OMT Garage from Origgio, just North of Milan, it is a stunning take on the all new Moto Guzzi V9, a bike for the Aristocrat in us all but customised on a working man’s budget.